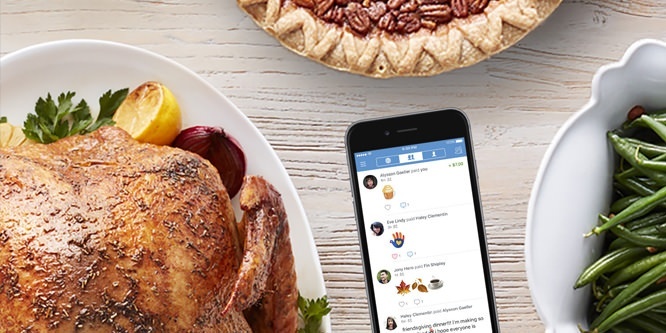 As young consumers continue to attract marketers, many retailers this year will be participating in the pre-Thanksgiving millennial tradition of Friendsgiving. A recent survey suggests 30 percent of millennials plan to participate in some type of Friendsgiving this year, and retailers are stepping up. In 2016, retailers Old Navy, Gap, and Banana Republic jumped into Friendsgiving by featuring Instagram-worthy drinks, décor, and head-to-toe style. This year, Whole Foods Market, Target, and Aldi are among the many retailers who have planned Friendship-themed pages with products, recipes and entertainment ideas. This pre-Thanksgiving celebration may account for the turkeys and Thanksgiving decorations that retailers started offering as early as September. As chief industry analyst with NPD Group Marshal Cohen told The Boston Globe, “Friendsgiving is approaching critical mass for retailers as a potential part of the holiday equation.” Read more here.